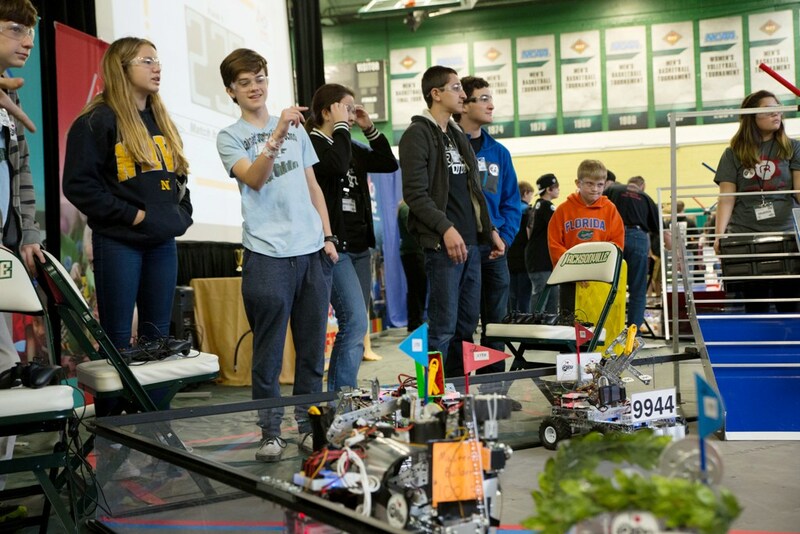 High-schoolers take part in the Northeast Florida First Tech Challenge hosted in Historic Swisher Gymnasium by JU. Renaissance Jax is helping lead the way in inspiring more Northeast Florida students to explore the Science, Technology, Engineering and Mathematics (STEM) fields, and now its impact will be felt even further with Jacksonville University as its Official Education Partner. 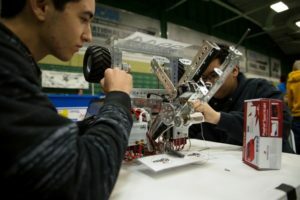 A new agreement will bring academic and financial support to the nonprofit, which is the official Lego League Affiliate Partner for the national nonprofit FIRST (For Inspiration and Recognition of Science and Technology). 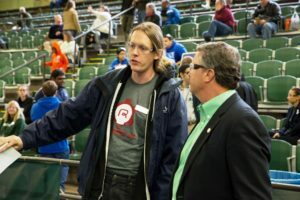 Renaissance Jax, founded by Mark McCombs, supports nearly 2,000 K-12 students of promise across 20 Northeast Florida counties as they take part in robotics competitions. Its goal is to have the largest number of competitive robotics participants per capita globally by 2021. Jacksonville University will provide annual scholarships to five incoming freshmen who have competed in at least one full season on a FIRST Robotics Competition or FIRST Tech Challenge team during high school. The scholarships are awarded to students who intend to pursue an education in engineering, physics, computing sciences or mathematics. Renaissance Jax Founder Mark McCombs (left) with JU President Tim Cost at the Northeast Florida Tech Challenge hosted by JU. Provide faculty/staff executive to serve on the Renaissance Jax Board of Directors. Develop Renaissance Jax internship opportunities for JU students. Conduct a comprehensive study on the impact of Duval County Public Schools student participation in LEGO League. Develop a multi-year survey to assess students’ attitudes toward STEM and academic achievement. Sponsor teams that have won the annual FIRST LEGO League Regional contest to help with their travel and registration expenses as they advance in regional and national competition. JU has added undergraduate and graduate degrees in STEM fields in recent years, hired additional faculty and invested in new facilities as it engages with the community to produce work-ready and life-ready graduates. 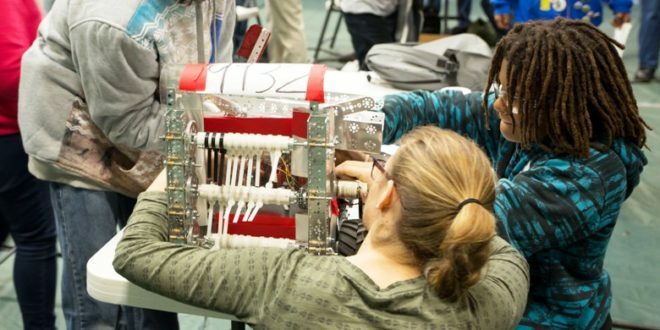 With a mutual desire to spark young students’ interest in educational and career opportunities in STEM fields – a priority for the region – JU and Renaissance Jax developed the opportunity to join forces to bolster efforts that bring students direct, hands-on experiences to explore their love for engineering, math, technology and science. “The community that is growing around FIRST in Northeast Florida is amazing in the ways that they are fostering so many young people’s future opportunities and positive mindsets toward problem solving. JU’s $100,000 scholarship program is a bold statement of its support of FIRST and the work that Renaissance Jax is doing, and I know it will invigorate the pursuits of our high school students in our region,” said McCombs. 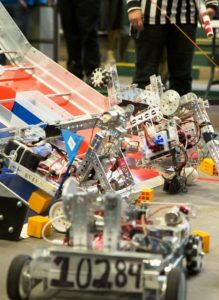 FIRST is an international youth organization founded in 1989 that operates robotics competitions. 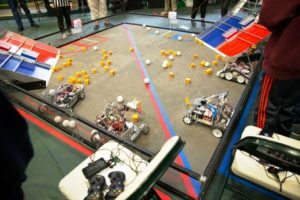 Renaissance Jax, which has held competitions at JU in the past, has a goal of supporting more than 300 teams and 6,500 students in the region by 2021 in designing, building and programming robots. 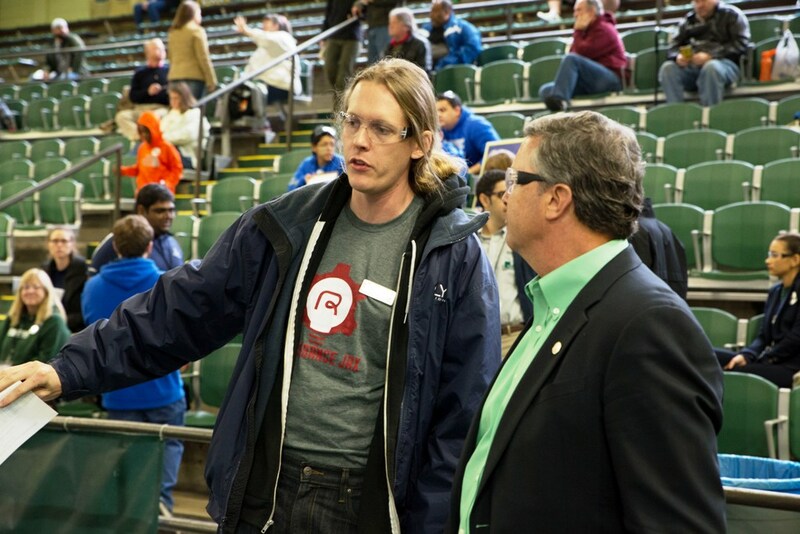 McCombs founded the organization and has been involved in robotics himself since high school. The new arrangement is designed to ignite the passions of even more students to become scientists, engineers and skilled workers, so that Northeast Florida is attractive when companies look to relocate here and see a large talent pool in math and technology, McCombs said. For more information, contact JU News Director Phillip J. Milano at pmilano@ju.edu, (904) 256-7042.